Good morning. It's Thursday, Jan. 31. • Californians wield power in Congress like never before. 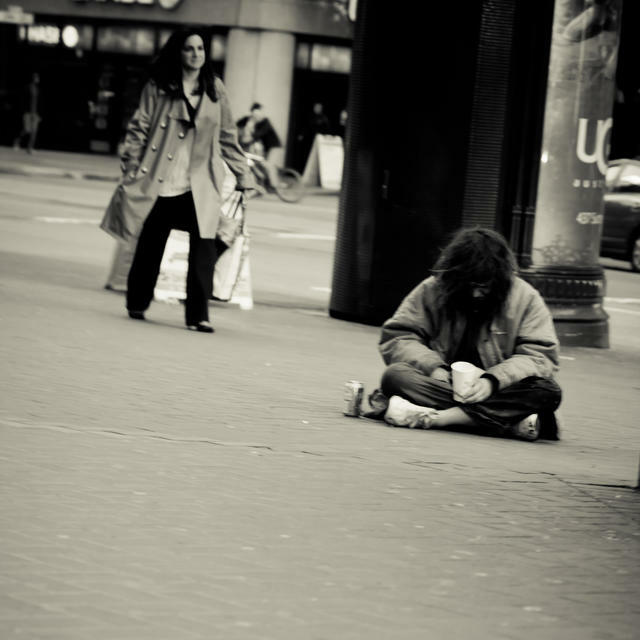 • Addicts outnumber public high schoolers in San Francisco. • And brilliant stars in California's dark sky havens. Nancy Pelosi and Kevin McCarthy are the first pair from the same state to serve concurrently as speaker and minority leader in the House. Californians have perhaps never held so much power in Congress. 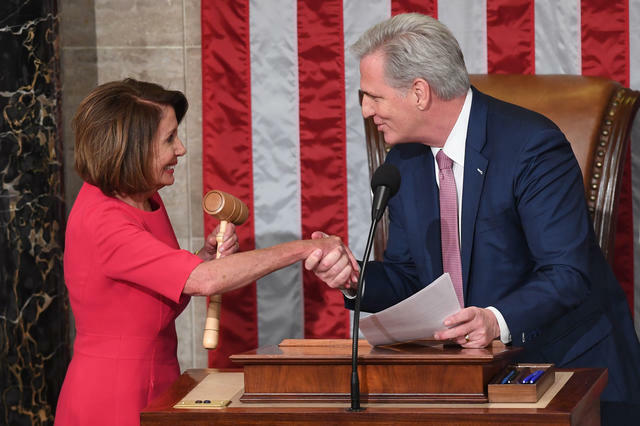 Both House Speaker Nancy Pelosi and House Minority Leader Kevin McCarthy hail from the Golden State, and a Californian now sits on all 20 of the House committees named so far. They chair four of those panels and lead another 20 subcommittees. A day after PG&E filed for bankruptcy, a federal judge accused the company of putting profits before human lives. "To my mind, there's a very clear-cut pattern here: that PG&E is starting these fires," he said. "Does a judge turn a blind eye and let PG&E continue what you're doing, let you keep killing people?" PG&E sees things differently: It wouldn't be in such trouble if not for the state's legal doctrine of inverse condemnation, which holds utilities responsible for fires involving its equipment — even if there was no negligence. PG&E hired an army of lobbyists to reverse the law, even getting Gov. Jerry Brown on its side. But the legislature wouldn't bite. Sunflower sea stars are a keystone species, meaning they play a crucial role in their ecosystem. 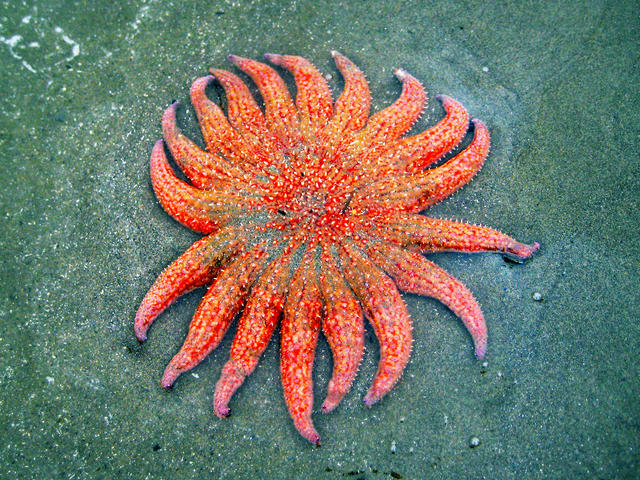 Sunflower sea stars, endemic to the West Coast and once as common as robins, have practically disappeared in the span of a few years, researchers said. The cause: disease exacerbated by warmer temperatures. "If it does disappear from these shores, it is gone from the planet," a study author said. 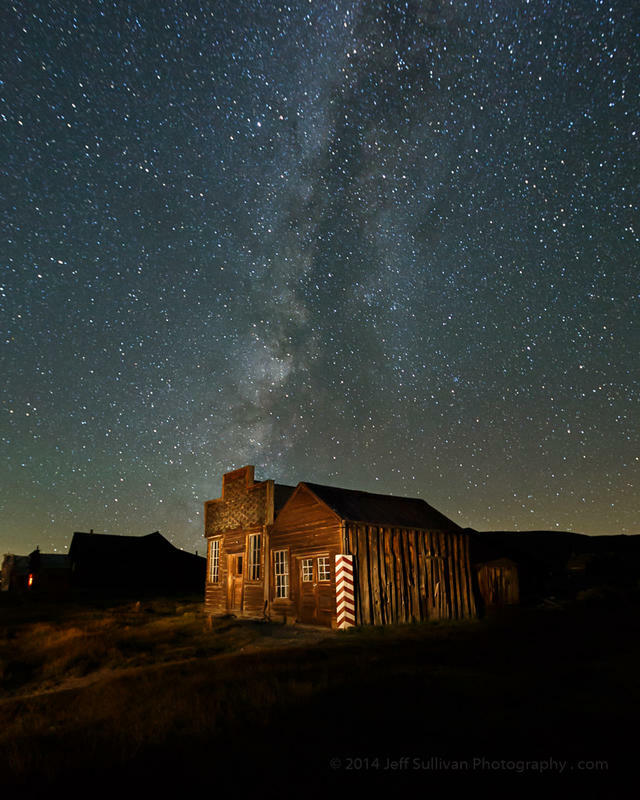 A dazzling night in the Bodie Hills. Stargazers say there's no better time to get the full effect than crisp winter nights. And some of the country's most resplendent stargazing happens in California's deserts. The S.F. Chronicle gave a rundown of four places in California that have been designated as International Dark Sky locations. San Francisco has a dual personality of wealth and desperation. San Francisco, one of the world's most prosperous cities, has more drug addicts than it has students enrolled in the city's public high schools, new figures showed. There are about 24,500 injection drug users, compared to less than 16,000 students. "There is an opioid epidemic in this country, and San Francisco is no exception," a city official said. Granny flats — or accessory dwelling units — have been promoted as a potential fix to California's housing crisis, leading cites to cut red tape in order to spur building. The market appears to be responding in Santa Rosa, where more granny flat applications were filed in 2018 than in the entire preceding decade. A sideshow in the Sacramento area last November. Sideshows — the Oakland-originated gatherings of cars doing donuts in the middle of intersections — have now gotten so popular around Sacramento that they're happening pretty much every weekend. Last Saturday, a sideshow swelled to about 200 cars, leading every available unit of the local CHP office to respond. San Francisco's Presidio was established in 1776 as a Spanish military fortress. 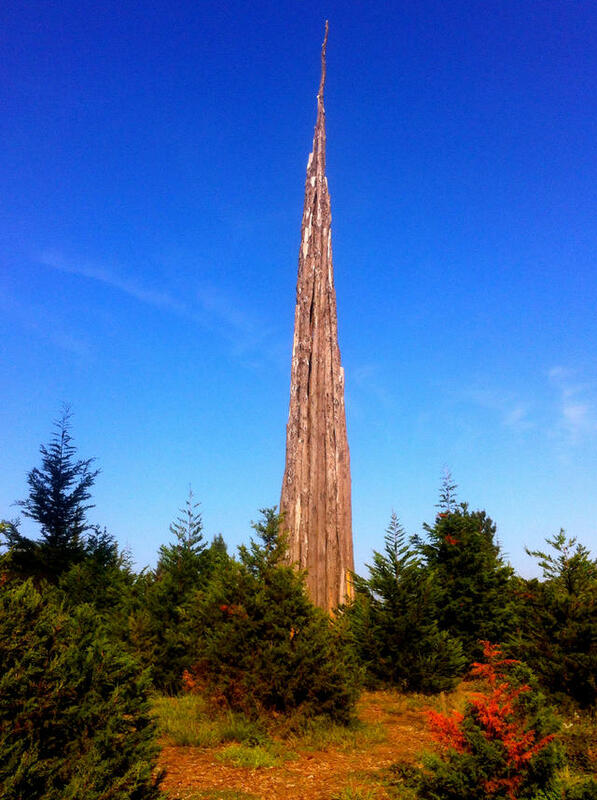 Today, it's a haven for environmental art, including four works by famed sculptor Andy Goldsworthy. Among them is "Spire," pictured above. The idea is that the bundle of Monterey cypress trunks will eventually disappear behind a curtain of forest. 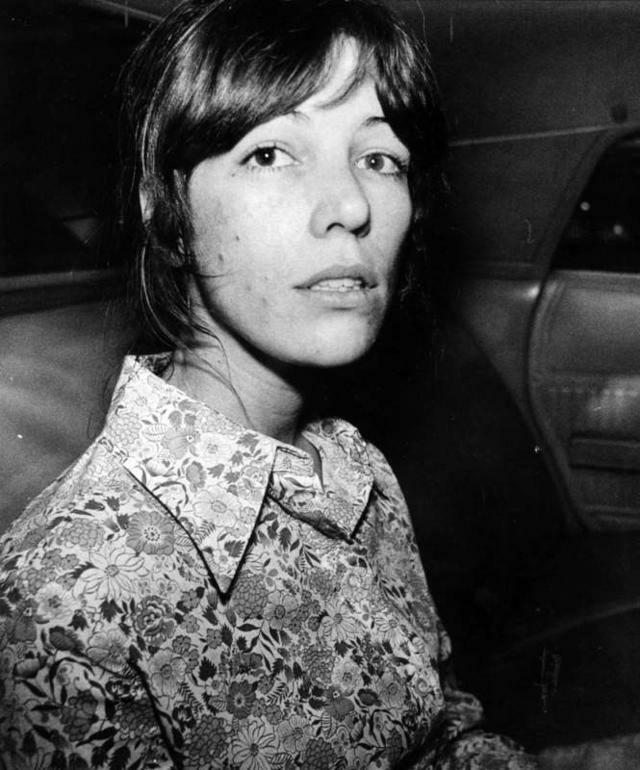 Leslie Van Houten in 1977. Leslie Van Houten, the Charles Manson's "family" member who was convicted in the 1969 killings of a Los Angeles couple, was recommended for parole for the third time. Gov. Jerry Brown blocked her release twice. Now Houten, 69, is hoping newly elected Gov. Gavin Newsom will reach a different decision. The successful Los Angeles teachers strike has been followed by a wave of similar protests in school districts around the country — including Virginia, Colorado, and elsewhere in California. In Oakland, teachers are voting now on whether to strike for smaller class sizes and higher pay. The Los Angeles action has also added momentum to another campaign: the effort to roll back Proposition 13, the law curbing property tax increases that critics blame for a decline in school funding. Napoleon Jinnies with his fellow Rams cheerleaders. 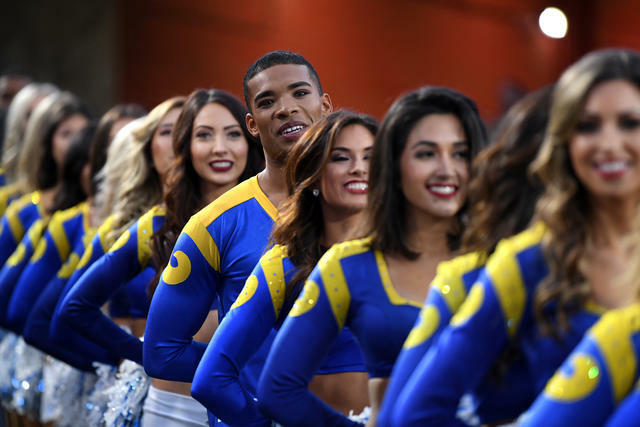 The Rams are sending male cheerleaders to the Super Bowl for the first time in NFL history. Quinton Peron and Napoleon Jinnies have faced jeers and slurs from unruly fans and on social media, but they've been broadly embraced as symbols of their city's commitment to inclusion. "Whatever has been out there we've been able to take it, because we know who has our backs," Peron said. A street sign in Laguna Beach's Heisler Park eschews typically mundane messaging. "Breathe." "Relax." "Take note of what it feels like to be alive right now." 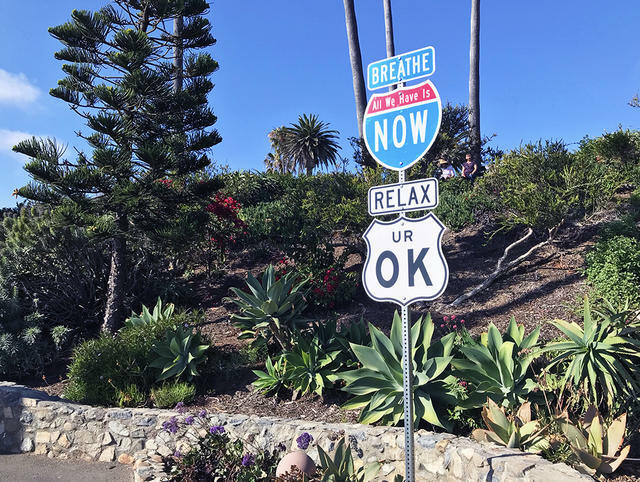 Spread across a shoreline park in Laguna Beach are whimsical street signs that aim to bring some unexpected inspiration to passersby. They're the work of artist Scott Froschauer, who did a similar installation across Glendale last year. At the Laguna Beach unveiling, a city council member lamented "a crisis in kindness" across the culture. "We can do better than that," he said. "We need more empathy, love, and respect for other people." 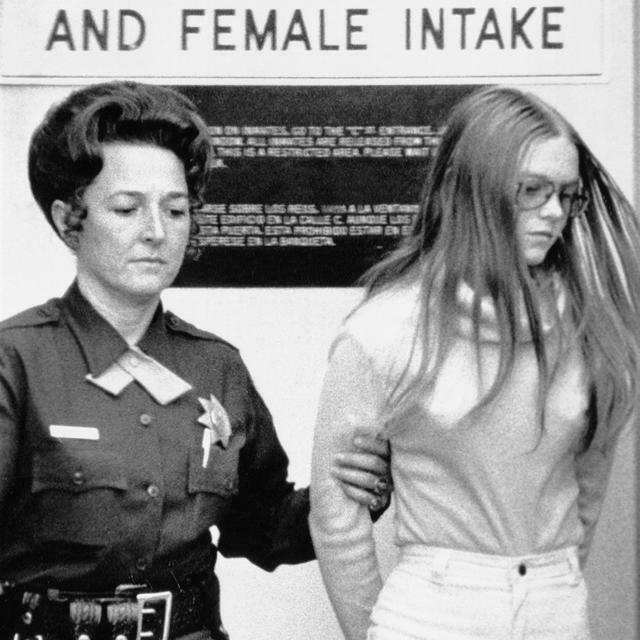 Pictured above is Brenda Ann Spencer after being arrested at age 16. It was this week 40 years ago that she carried out one of the first high-profile school shootings in a suburb of San Diego. Spencer posted herself by a window in her house, across the street from Cleveland Elementary School in San Carlos, and began firing at students as they arrived for class. By the time the siege ended hours later, a custodian and the principal were dead and eight children and a police officer were wounded. Asked why she did it, Spencer infamously said, "I don't like Mondays." She later claimed that she was drug addled and the victim of a troubled home life. Her father had given her the gun she used, a .22 semi-automatic rifle, as a Christmas gift. "I asked for a radio and he bought me a gun," she said. Asked why he did that, she said, "I felt like he wanted me to kill myself." Now 56, Spencer remains incarcerated at the California Institution for Women in Chino. She's eligible for a parole hearing in 2021. The California Sun relies on personal recommendations. If you've been enjoying the newsletter, please consider sharing it with a friend. Here's the sign-up page.